Among growers in northern England and Scotland, there is a concern the narrow window for getting winter cereals into the ground is nearing an end, with many crops yet to be drilled. Wet weather in recent weeks has not only prevented some growers from completing harvest, but has elevated soil moisture levels, with the average soil moisture deficit in Scotland only 13.7mm, according to ADAS. 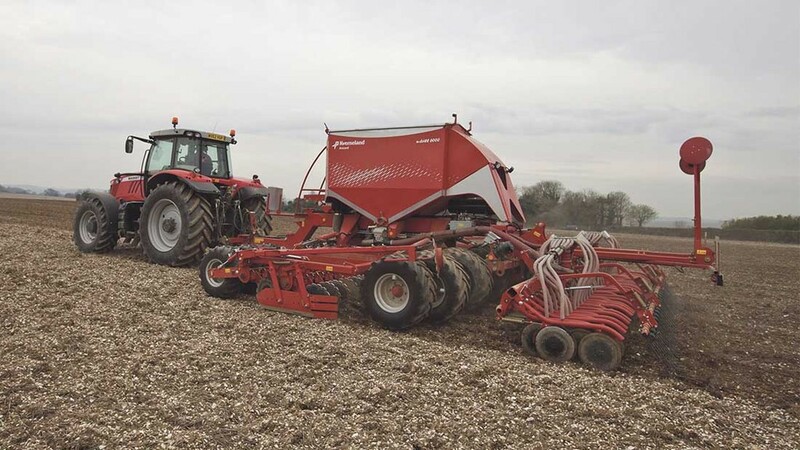 As a result, drilling progress is back on the year and crops which have been sown are challenged with cold, wet seedbeds. North East Frontier agronomist Andrew Roy says: “About 60 per cent of the winter barley area has been drilled and about 35 per cent of the winter wheat – which is around 20 per cent back on last year. Farming near Fife, Scotland, David Harrison is yet to sow any of the 60ha (148 acres) of winter barley which he intended to plant. While ideally growers should aim to apply pre-emergence herbicides within 48 hours of drilling, unsettled weather has meant many growers have missed this slot and so weed control may have been compromised. Equally, the cultivation of damp soils has led to cloddy seedbeds on heavier soil types, which has meant poorer spray coverage when applying residual herbicides. In order to counter the effect of suboptimal pre-emergence application, Mr Roy says it is important to wait until soil conditions are right in order to establish a competitive crop, especially where grass-weeds are a problem. If this cannot be achieved, growers should consider sowing a spring crop. “Some growers on heavier land have already decided to resort to spring cropping – which is better than drilling into wet, cold soils where crops cannot thrive,” he says.